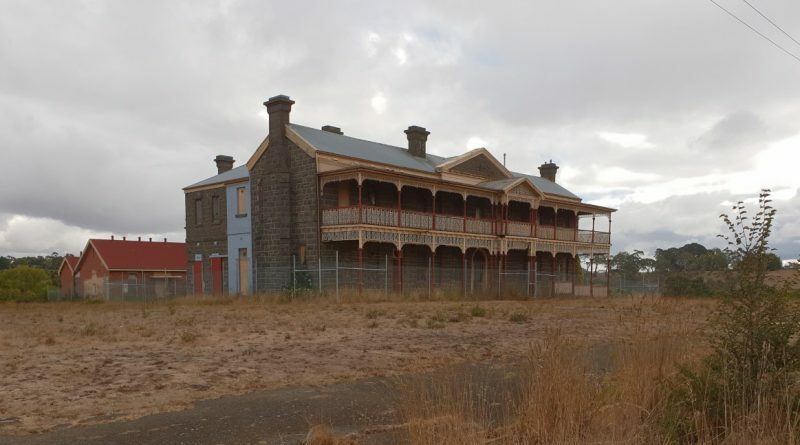 Plans to develop the Old Kyneton Hospital site into residential housing have been abandoned, with the site now up for sale by expressions of interest. The heritage-protected property at 67 Simpson Street is for sale with Buxton Ballarat. “Real estate opportunities do not present to the market that often for a landmark property such as this,” agent Mark Nunn said. The site is owned by Winport Developments, which purchased the property in March 2011 for $1.6 million. Winport had controversially planned to develop the 1850s bluestone building into four luxury apartments and develop 64 houses on the surrounding five acres. 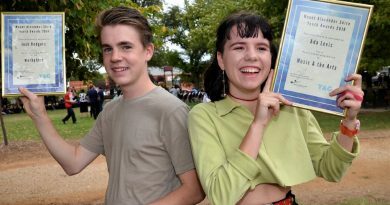 The proposal attracted significant community backlash from residents, including a campaign to ‘Save the Old Kyneton Hospital’, which attracted the celebrity endorsement of SBS newsreader and national icon Lee Lin Chin. 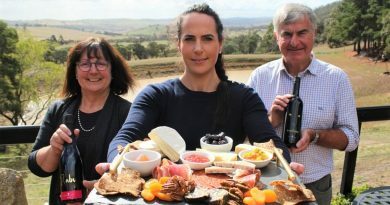 In August of last year, Heritage Victoria slapped an urgent repair order on the site after years of neglect had allowed it to fall into disrepair to the extent that its conservation was threatened. The owners complied with the order and undertook the necessary works. The current agents’ listing describes the site as offering ‘a multitude of options including bringing the original building back to its former glory and making the property into a spectacular home, wedding venue, up-market Air BnB and so much more. The substantial land of approx five acres surrounding the hospital is a blank canvas and would be ideal for medium to high density development designs (STCA)’. The sale is expected to realise between $5.75 million to $6.25 million. 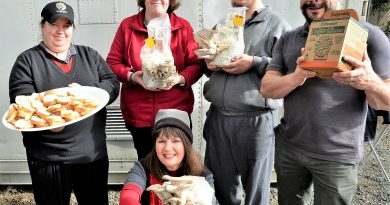 Windarring Urban Mushroom Farm workers Tegwen Prest, Melissa Gale and Josh Dixon with Windarring's employment pathways manager Mark Castle and team leader Mandy Fennessy.